New York City - May 31st 2017: We had the distinct pleasure of introducing the scholars from the UA Maker Academy to Stacks + Joules. During the concentrated session we worked with a crew of 6 awesome students (2 Freshmen and 4 Juniors). 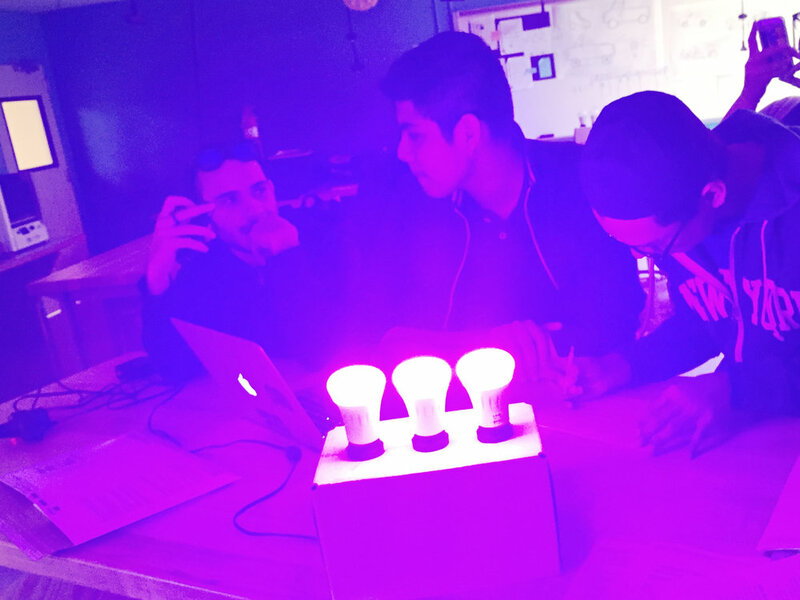 Regardless of grade level each of the students got to take a crack at controlling the LEDs and worked together with each other to innovate on the lesson. We had an excellent time hanging out with these future techgawds and will keep an eye out for their featured profile in WIRED! Shout out to Ashley Vega from UA Maker for hooking this up and to Luke Bauer the indomitable principal of UA Maker from running such a great school. Stacks + Joules Laser-Hewn Notebooks!